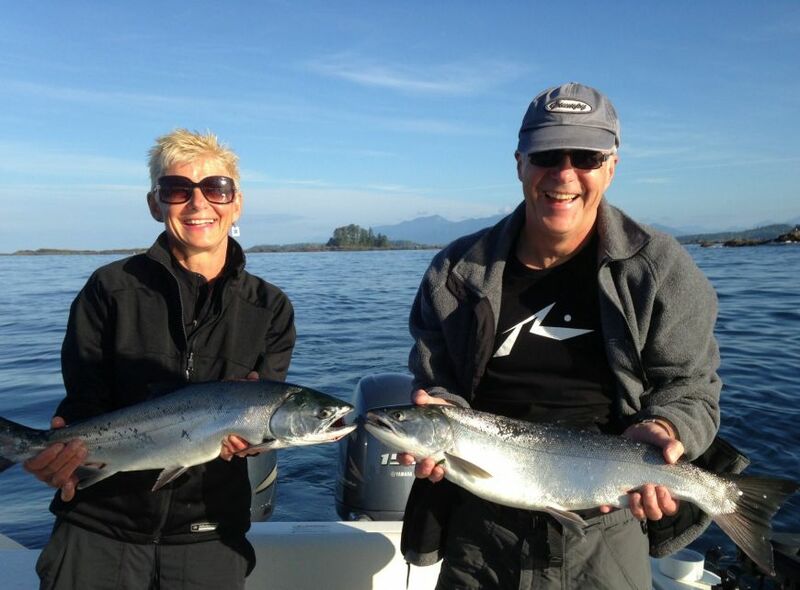 opportunity to fly fish and or troll for salmon in Clayoquot Sound, just north of Tofino. 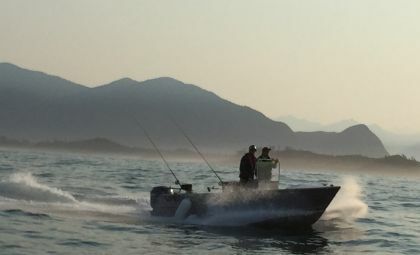 Our safe, well built 20' Lifetimer aluminum center consol is a great vessel from which to enjoy the scenery and wildlife while fishing the edge of one of the many kelp forests or shallow sand bars within the sound. 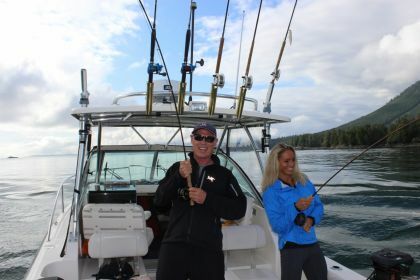 The vessel is equip with power downriggers and salmon trolling gear as well as fly rods giving anglers a variety of options to target Chinook and Coho salmon. There’s no style of fishing quite as exciting as surface fishing. Trolling bucktail flies 15-20 feet behind the boat on a eight weight rod is a exciting way to target Coho Salmon. 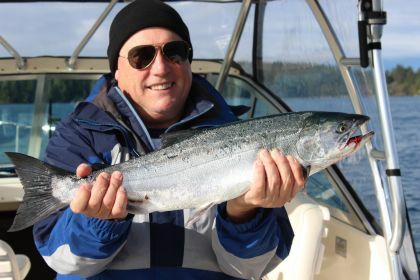 Coho can also be caught on the cast fly when the conditions are right. Lessons in fly-fishing techniques and casting can be incorporated into the day. Fly-fishing rates below apply to our 20' centre console. Fly fishing charters are available on the "Red Sky". Please see Offshore rates.